Admission to the John Tantillo seminar only. 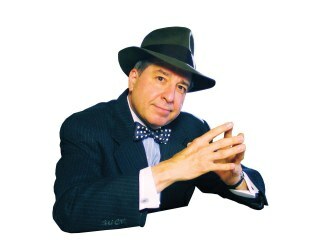 John Tantillo - The Marketing Doctor! If you are a marketer or small business owner and competing during these challenging economic times, you can’t miss this event. Brand for Breakfast: Go Brand Yourself is a 3 hour workshop that will arm you with fresh marketing thinking and the tools to move your business forward. Learn more about John by clicking here. "Dynamic, Insightful, Entertaining, Topical, On-the-money, Practical." The list of praises goes on and on when the Marketing Doctor speaks. Dr. Tantillo will engage the room and attendees at your meeting will come away with new understandings about what it means to market and brand in today’s world. This registration is for the Tantillo seminar ONLY taking place after the A.C.E. regular monthly meeting. If you wish to attend the workshop ONLY, please register here. If you wish to attend the meeting AND/OR the workshop, please go here. Registrations are required by November 16, 2010. If you want to be included on the registration list at the meeting then you need to register by the due date.